The commercial real estate world can be very difficult to navigate if you don’t have any prior experience. With many different market prices to compare, tons of legal terms to understand, and the need for good negotiating tactics, many people are not able to adequately handle commercial real estate deals on their own. That’s why working with a professional brokerage firm like the Rakow Group can be such a valuable asset. With decades of experience, the Rakow Group can help you and your business find success in the commercial real estate market. Below, we will take a look at a few of the ways the Rakow Group can help you with your commercial real estate needs. Industrial space is a property type that typically includes locations such as warehouses, manufacturing buildings, and factory multi-use buildings. It can be complicated to find the best industrial space for rent, but not with the Rakow Group helping you out. Leasing industrial property is all about experience and relationships, both of which the Rakow Group can offer your business. Every single business is different. That means every single business has different needs for their office space real estate. The Rakow Group can help you find the ideal office space for lease that meets all of your company’s needs. We can assist you with negotiating a favorable lease and starting your relationship with your landlord off on the right foot. The commercial property market is not easy to navigate without resources. It’s a relationship based business that can be grueling to traverse without the proper help. The Rakow Group can help you navigate the commercial property market and find commercial property for rent that meets your qualifications. We also have an extensive database of commercial property for sale if you are looking to purchase rather than rent. 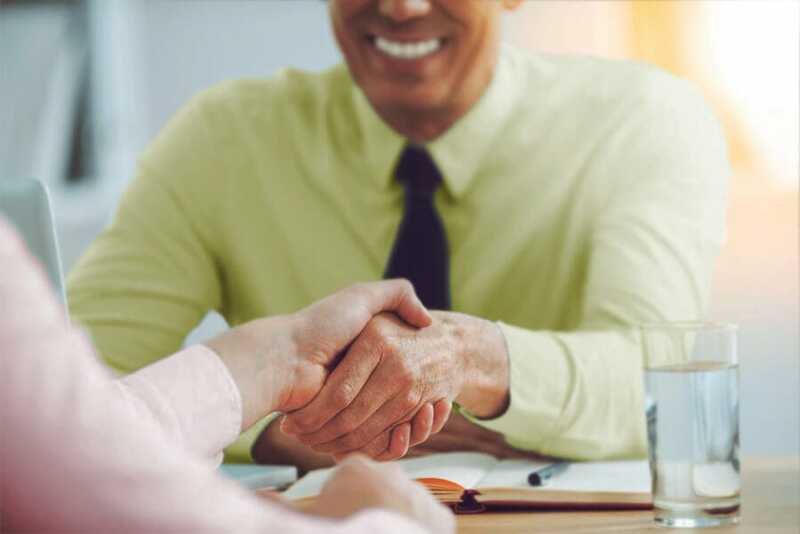 If you decided to work with one of our brokers, you know that you are getting an expert negotiator that can help you get the best possible deal. It doesn’t matter if you are renting or buying, you can rest assured that our brokers can negotiate their way into a favorable outcome. Contact the Rakow Group today if you are seeking commercial property for rent or commercial property for sale. Leasing commercial real estate is no small task. You have to find the right commercial property for lease. You have to do research about the market. You have to negotiate and ensure that the property or space works financially for your business. There are a variety of things to watch out for, especially, when you are negotiating a lease. There are so many things you need to know in order to successfully lease commercial real estate that it’s worth every penny to hire a professional broker to help out. The Rakow Group can help you handle any commercial real estate lease and locate the best commercial property for rent. We’ve prepared a few tips below that detail how to lease commercial real estate. A commercial real estate lease is a legal agreement between a landlord and a business. It allows businesses to rent commercial space and conduct business in that space during the allotted time in the lease. Commercial leases typically come in three forms: full-service leases, modified gross leases, and net leases. One of the important steps towards leasing commercial property is understanding the different types of leases. A full-service lease is commonly used when leasing office building. The rent is all inclusive so the business won’t have to pay for things like building maintenance, janitorial services, and utilities. With a net lease, the business pays less than they would for a full-service lease. However, things like building property taxes and more will typically be added as monthly costs. A modified gross lease is a combination of both leases mentioned above; it’s a fixed cost that avoids charging taxes or unexpected costs. Another big step in leasing commercial property is setting your parameters. That means deciding what your budget is, what kind of space you need, how much space you need, and considering any zoning restrictions that you need to be aware of. Ignoring any of these steps might come back to haunt you. The Rakow Group can help you every step of the way during the commercial leasing process and make sure that you find the best commercial property for rent. Perhaps the most crucial step in leasing commercial property is finding a trustworthy broker. There are typically two types of brokers: leasing agents and tenant brokers. Both have their own advantages and disadvantages, but keep in mind that leasing agents work for the landlords. If you want any help finding the right broker for you, reach out to the Rakow Group. We can also help you find commercial property for sale at a great price if you are in the market to buy. Finding the right commercial property for rent that meets the needs of your business is a difficult endeavor. It’s worth it to invest the necessary time and money needed to find a broker to help you every step of the way. Working with the expert brokers at Rakow Group can help you locate the right property and receive a great deal. Office space real estate is more than just a place where you work. It’s the home base of your business and the foundation for future success. Once you have located a space you are interested in leasing, you will have to negotiate the lease terms with the person or business leasing the space. This can be a big challenge to overcome. It really helps to have someone knowledgeable and professional to help you during the negotiations. Below, we will discuss 3 commercial lease negotiating tactics that our brokers will utilize to help you get the best possible lease terms. So you’ve found the commercial property for rent that you want to house your business. That’s all well and good, but you can make some big mistakes during negotiating your lease if you aren’t familiar with all of the different lease options. You can go with a gross rent lease, which means you will pay a single amount to your landlord that covers everything including incidentals. A net lease is another about where you will pay base rent plus either property taxes, insurance, or utilities. A percentage rate lease means you will pay base rent plus a percentage of your sales. Keep all of these options in mind and choose what works best for your business. Doing your homework is a great way to gain some leverage during negotiating a lease for commercial property for rent. Check out the other tenants in the building. See what the building traffic is like. Look for red flags regarding your future landlord. The more you know, the better prepared you are to get the best deal. A broker at the Rakow Group can help you extensively research a property and give you great advice for negotiating the best lease. The last tactic to use when negotiating leases for commercial property for rent is to check out what similar properties are going for in the local market. That way, you will have a realistic idea of what you should be paying and what the lowest possible rent can be. The more information you have, the better deal you can get. Choosing the right office space real estate is an important step towards growing your business. You want a space that is comfortable for your employees and promotes productivity while not spending a fortune on your monthly rent. Locating a space in a great area that doesn’t break the bank is even more vital for startups. Since startups are typically focused on maximizing the return on every dollar spent, office space real estate that offers a lot of value is key. Finding the right commercial property for rent can be challenging, but with the help of an expert brokerage firm like the Rakow Group you can certainly set your business up for future success. Below, we will discuss 3 qualities that startups should look for when selecting office space real estate. When you are working with a limited budget, sometimes you have to make sacrifices when seeking commercial property for rent. That being said, it’s important to find an office space that is big enough to fit all of your employees and equipment without feeling cramped. Bigger isn’t always better, but a tiny office space that feels overcrowded can be a serious detriment to the productivity of your workers. Startups are great because they are lean and mean. What starts as a small 5 to 10 person company can end up becoming a corporate powerhouse like Uber or Google if things are done right. In the early stages of a startup, it’s important to make every dollar count. This particularly holds true for spending money on office space real estate. Startups need to look for office space that is extremely affordable while providing a lot of value. Many startups look to shared office space or co-working spaces. It’s important to ask yourself what the bare minimum requirements are for your office space prior to beginning your search. The last thing a startup wants to do is lock themselves in a 5-year lease and find out one year into it that they need more space. Longer leases offer more choices, but less flexibility for your business. Finding office space real estate that offers great value with flexible lease terms is like finding a diamond in the rough. Working with expert brokers at the Rakow Group can help you negotiate the lease that works best for your startup. It takes money to make money. This old adage holds true in many different ways, particularly, when it comes to commercial real estate investments. You need to have sufficient capital to even be in the market for commercial real estate purchases. However, if you decide to make an investment in real estate, you are opening up a world of opportunities to see your investment appreciate in value. It takes a savvy investor with knowledge of the commercial real estate market to find something that might make a good investment. Additionally, using a great brokerage firm like Rakow Group provides you with the resources to make an investment that is likely to bring you a great return on your investment. We can help you find the best commercial property for sale and work with sellers during negotiations on your behalf. Below, we will discuss the three main types of commercial real estate investments to give you a better sense of the great opportunities waiting for you in commercial real estate. One of the more common types of commercial property for sale comes in the form of land. This can be a truly great investment if you purchase land in the right area. There are several ways to make money by purchasing raw land. You can simply hold onto the land and hope that the value appreciates. Additionally, you can use the land to build commercial office buildings or shopping centers and ultimately sell them. If it’s farmland, you can allow farmers to raise livestock or grow crops. The potential for investments in land is huge. When seeking commercial property for sale, retail space is always a great property type to keep on your radar. Always consider the location of the retail space you are looking to buy before making in big decisions. Purchasing retail space in a high traffic area that is growing will help ensure that your investment pays off in the end. The third main type of commercial real estate investments is office buildings. Office space is normally in high demand, regardless of the location. You can invest in office space real estate and receive cash flows from any tenants that are occupying the space during the period in which you own it. There’s even more investment potential for office space in a major metropolitan area. If you are seeking commercial property for sale, contact the Rakow Group today. Leasing commercial property is a crucial step towards growing your business and setting yourself up for future success. There are many things to consider prior to signing on the dotted line. Commercial property for rent is usually abundant, but not every property will be right for your business needs. Don’t avoid doing your due diligence when seeking commercial property for rent because it can come back to haunt you. Finding the right property can be a challenging and time-consuming endeavor. That’s why working with commercial brokers like the professionals at the Rakow Group is such a great decision. It really helps to have a professional broker with vast experience to assist you in navigating the commercial leasing market. Below, we will go over 5 important things to remember when you are leasing commercial property. After you’ve found the ideal commercial property for rent, it’s important to ask your future landlord who will be responsible for what. Who is responsible for maintaining the property? Who will pay for repairs on the premises when it is necessary? Who will take care of managing any equipment on the property? It’s very critical to go over these details with your landlord prior to signing a lease. The lease agreement should clearly spell all of these details out. Another really important thing to remember when leasing commercial property is to determine if the rent you will pay is fair. You can take a look at similar properties in the area to get a good baseline for what is an appropriate rent price. Make sure you understand any percentage-based rent increases as well. A lease contract will often contain additional clauses that are very important to look out for prior to agreeing to anything. If you are leasing space in a shopping center, you should ask if you have to comply with any special restrictions. Things like contributing to the center’s marketing activities can be costly. 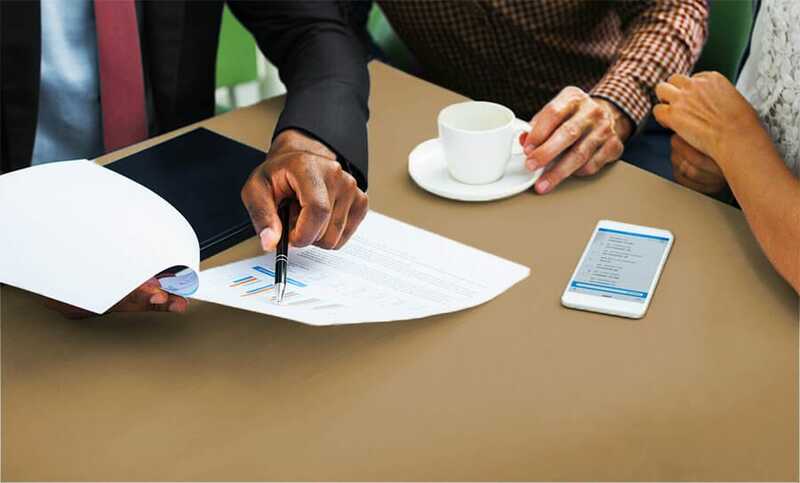 When you are negotiating a lease for commercial property for rent, it’s important to establish your rights as a tenant prior to signing the contract. Determine if the lease has a Right of Assignment clause, which allows you to transfer the lease to a new tenant if you need to. Look out for early termination penalties and what the process is for terminating the lease, if necessary. It’s common for landlords to want to lock you into a long-term lease. That way, they don’t have to find a new tenant for a while. However, if you are a startup or a newer business, you can choose a shorter term timeframe with the option to renew. You know the best option for your business, so don’t be afraid to ask for the timeframe that’s right for your unique situation. Finding the best commercial real estate deals is no walk in the park. It requires hard work and business savviness to locate a property that is undervalued and a good investment opportunity. If it were easy to find great commercial real estate deals, everyone would be doing it. However, once you find a great commercial real estate deal, you are providing yourself the potential to make huge returns on your investment. Commercial real estate can greatly appreciate in value if you pick the right location. Finding commercial property for sale that has a lot of potential is much easier with a trusted broker working with you. Locating office space real estate or commercial property for sale is one of the specialties of the Rakow Group. We can help you negotiate a great deal and locate the best properties to bring your business forward. We’ve worked hard to put together the following list detailing 3 tips for locating great commercial real estate deals. When it comes to commercial real estate deals, it’s important to remember that time is always of the essence. There are always people out there looking for great deals, and your deal can easily be hijacked if you are late to the party. Many times, the highest offer isn’t the one that gets accepted, it’s the first offer. Keep that in mind when you are seeking out commercial property for sale to avoid missing out on valuable opportunities. Finding the best commercial real estate deals comes down to a numbers game. The more properties that you go out to look at, the better chance you will have to find awesome deals. If you want help using cutting edge real estate databases and professional guidance in viewing commercial property for sale, the Rakow Group can help you every step of the way. This tip can be a great way to find truly great commercial real estate deals. When a property owner does not pay their mortgage for a while, the entity that lent the money will eventually repossess the property. The lender then will list the property on the market. It’s important to remember that banks don’t like managing commercial property, so they will often offer discounts on foreclosed property just to find a buyer. Choosing a commercial real estate broker to work with is a turning point for your entire business. If you make the right decision, you are setting yourself up to find the perfect office space real estate or commercial property for sale. On the other hand, if you end up working with a broker who doesn’t know the ins and outs of the commercial real estate market, you could be costing yourself a lot of money. The Rakow Group is a premier commercial real estate brokerage firm that can help you locate commercial property for rent, industrial space for rent, or commercial property for sale. It truly helps to have a trustworthy and knowledgeable broker to help you navigate the commercial real estate market. 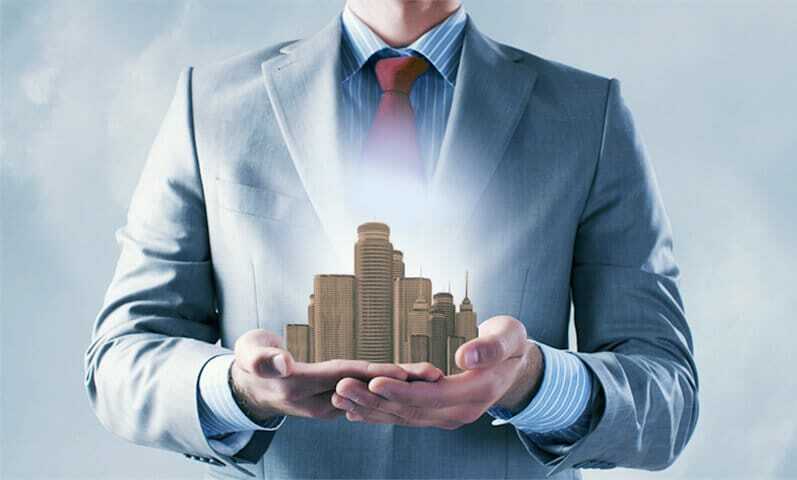 Below, you will find 4 things you should ask before choosing a commercial real estate broker. Do You Like the Broker? Working with a commercial real estate broker requires you to communicate your goals and desires clearly so that you achieve your desired outcome. Commercial real estate is all about relationships. If you actually like the broker you are working with, you will be much more inclined to achieve success. You want to work with a commercial real estate broker that you can have a great relationship with, but it’s also very important to ensure that a broker is technically competent prior to deciding to work with them. Make sure they are well-versed in how real estate contracts work, the areas with the best investment opportunities, and what negotiating tactics they will use to get you the best deal on commercial property for sale. Does the Broker Specialize in What You Are Looking for? There are so many different types of commercial real estate, it’s a great idea to find a broker that specializes in the particular type you are looking for. If you want to find industrial space for rent, find a broker who has particular experience in leasing industrial property. Office space real estate brokers have a different background than brokers who seek out commercial property for sale. Will the Broker Be Loyal? This is another vital question to ask prior to choosing a commercial real estate broker to work with. You want someone who will not put themselves above their clients. Someone who really is looking out for your best interests. Someone like the great brokers at the Rakow Group. Office space real estate is one of the most highly sought types of real estate on the market today. Businesses will always need a space to house their operations, which is why office space real estate tends to hold its value over time. The demand for office space is consistent, and with the help of the real estate experts at Rakow Group, you can surely find a great deal and a new home for your business. Typically, office space real estate is typically used for housing businesses. That being said, there are quite a few unconventional uses for office space real estate that you can potentially take advantage of. Let’s take a look at a few below. Coworking spaces are spaces designed to provide working space for entrepreneurs and people who are looking for a temporary space to get some work done. Using some of your office space real estate for coworking spaces can be quite lucrative. One idea might be to rent out a portion of your office space on the weekends to earn some additional revenue for your business. Sure, there are probably tons of meetings that take place in your office during the day, but have you considered using office space real estate for hosting meet-ups? There are so many different organizations that would love to have a meet-up at your office. You can provide a space that allows like-minded individuals to collaborate and come up with new ideas. Additionally, partnering up with a charity organization and allowing them to have meet-ups at your office space can help you establish a good reputation for your organization. This suggestion is intended for after normal office hours. You can use office space real estate to host happy hours for your business and other businesses as well. Happy hours are a great way to help your employees connect with each other on a personal level and relax. If you are a landlord, allowing your tenants to host happy hours is a show of good faith that goes a long way towards building a good relationship with your tenants. Keep this idea in mind if you are looking for new ways to utilize your office space real estate. Hiring a professional broker to help you navigate the complex world of commercial real estate can provide you with immense returns on your investment. Sifting through thousands of listings, aggressively negotiating a deal, and learning commercial real estate jargon are all not straightforward endeavors. Are you willing to handle all of those tasks and more? 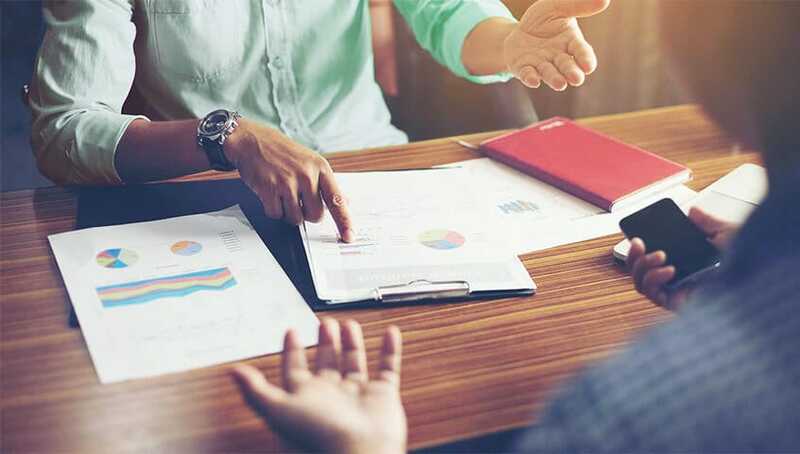 Some business owners might like to save money and handle their commercial real estate needs themselves, but hiring a broker really can be worth its weight in gold. Below, you will find 3 major pros of using a commercial real estate broker. If you are seeking industrial space for rent, commercial property for sale, or a world-class commercial real estate broker, please reach out to the Rakow Group today. Working with a commercial real estate broker provides you with access to a ton of resources, such as large property databases and a team of knowledgeable real estate experts and negotiators. You simply won’t have the same level of resources if you choose to handle everything on your own. 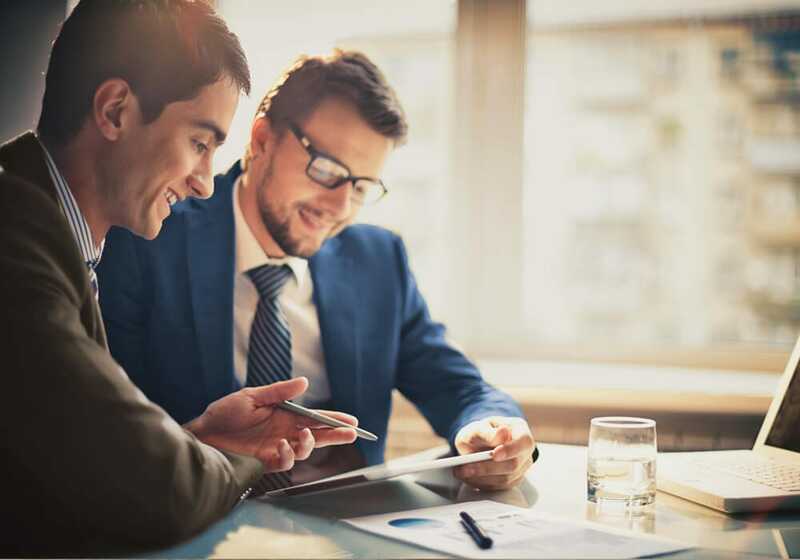 Experience, connections, and knowledge are all extremely valuable resources and are at your disposal if you choose to work with an experienced commercial real estate broker. Time is money. This is true for anyone involved in the business world. Working with a professional broker to find properties in your target market that meet your specific qualifications can save you loads of time. That way, you can get back to focusing on your everyday business obligations. Brokers will know right off the bat which buildings are available and affordable, and can arrange meetings with ease thanks to their large network of commercial real estate connections. Additionally, think about all of the time you will have to spend learning lease terms and industry jargon in order to successfully handle a deal on your own. Successfully negotiating commercial real estate contracts can be a stressful and trying task. A major pro for working with a professional commercial real estate broker is that they negotiate for a living. They are experts in helping you get the best possible deal and handling conflicts. Additionally, they can understand complex legal documents and put their clients first thanks to their extensive real estate knowledge.